The College of Biological Science, U of G is delighted to host and co-sponsor a lecture series to honour our colleague, the late Professor Roy Clayton Anderson. An eminent scholar/scientist will be invited to deliver a public lecture on his/her expertise, and be on our Guelph campus to interact with students, faculty members and staff. Parasitology is defined in its broadest sense and it includes all aspects of microbial, protozoan and metazoan infections in animals and plants. Briefly, Prof. Anderson had a very productive and stellar career. He had published more than 250 referred papers in journals, and the 2nd. edition of his well-received monograph "Nematode Parasites of Vertebrates: Their Development and Transmission" was published in 2000. Dr. Anderson also edited several books including the CABI taxonomic series "CIH Keys to the Nematode Parasite of Vertebrates". He was the recipient of numerous prestigious awards including the Henry B. Ward Medal (American Society of Parasitologists) and the Robert A. Wardle Award (Canadian Society of Zoologists). He was active in scientific societies (e.g. 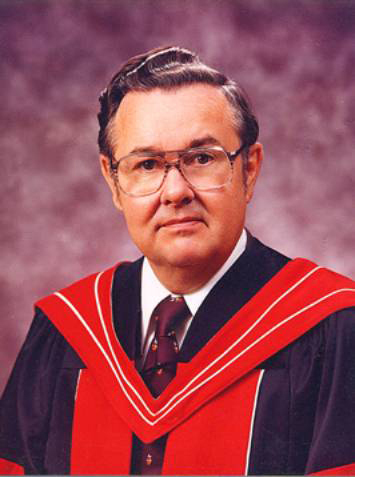 President, Canadian Society of Zoologists; President, Wildlife Disease Association), and served on numerous influential committees in the Ontario education system (e.g. Advisory Committee on Academic Planning; Academic Advisory Committee) and in U of G (e.g. Member of Senate; Chair, Committee on Academic Priorities). Prof. Anderson was Acting Dean at the founding of the College of Biological Science, and was Chair of the Department of Zoology before he retired. Prof. Anderson taught both undergraduate and graduate courses, was research supervisor to 29 graduate students (14 MSc and 15 PhD) and numerous postdoctoral fellows, and hosted many visiting scholars/scientists. He was the inaugural recipient of the Clark P. Read Mentor Award (American Society of Parasitologists), and Senate appointed him University Professor Emeritus after he retired. His dedication to research, to training of young scientists, and to the University was second to none.